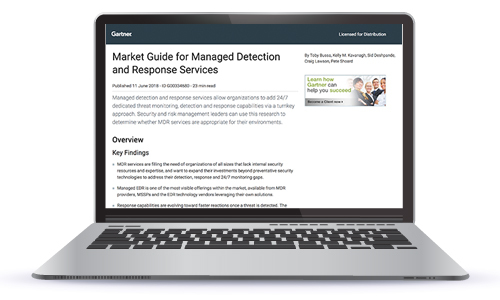 Use this research to determine whether MDR services are appropriate for your environment. You decide what works best. Hand all of your 24x7 SOC-style security operations over to us or work in a more collaborative model with our analysts directly extending your security team. Since you share the same interface with our analysts, it’s easy for Expel to fit into your processes and grow with you as your security program evolves. Analyze cost vs. risk and determine your best course of action. Keep your products running and make them run better. Is this alert really bad? Do I need to escalate? What’s the risk? How do I resolve it? Act on short- and long-term recommendations from security operations. Track improvement and prioritize investments to reduce risk further. Since we’re transparent, you can see anything (or everything) Expel is doing for you 24x7. See how you’re improving and hold us accountable if you’re not. Expel replaces what you’d spend on managed security service providers (MSSPs) and managed detection and response (MDR) providers. We think MSSPs have reached the ceiling of the value they can provide. They’ve beaten their customers into submission and taught them to expect less by taking a transactional, one-size-fits-all approach, managing to their SLA and prioritizing the quantity of alerts over quality of service. MDRs have emerged to fill the gap with specialized services but since they don’t replace MSSPs they’ve just forced customers to buy two different services. When you tell us you’re ready, we won’t waste your time. Let us know what you’re looking for and we’ll have someone get in touch who can talk tech.